Hide deals from seller "MXPi Tuning"
Limit 1 per person. Valid on a 1-hour evaluation of engine performance and a 21-point auto inspection. New clients only. By appointment only. Promotional value expires 365 days after purchase. Tune up your treasured toy with 50% off a 1-hour evaluation and diagnosis of engine performance and a 21-point auto inspection from MXPi Tuning in Streamwood ($75 value). The ASE-certified technicians can identify your engine troubles and ensure that your prized possession stays in tip-top shape. 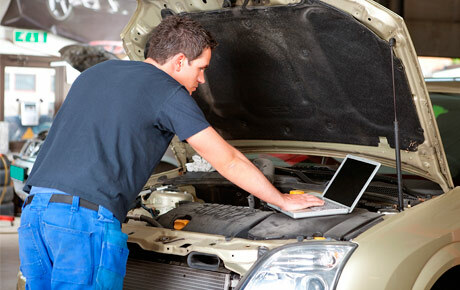 MXPi Tuning specializes in providing repair and replacement services for small, high-performance cars. They offer expertise in maximizing safety, reliability and performance as well as maintaining the quality of sports cars. Their online shop features a variety of auto parts including exhausts, brakes, accessories and more. MXPi focuses on providing quality customer service and offering valuable support. Keep your sport car healthy with this deal. An auto repair shop in Streamwood that caters to small, high-performance cars.